About 60-70% of people in the world are using smartphones. But many of them encounter a problem with battery reinforcement. Most of the smartphones like Android consume much battery as compared to others. As a result, in conventional condition Android battery dies in about 6-7 hours. Many of us use battery booster app for Android, But they leave no noticeable signs to depends on. That’s why I’m posting this to determine the issue of less battery backup of Android. 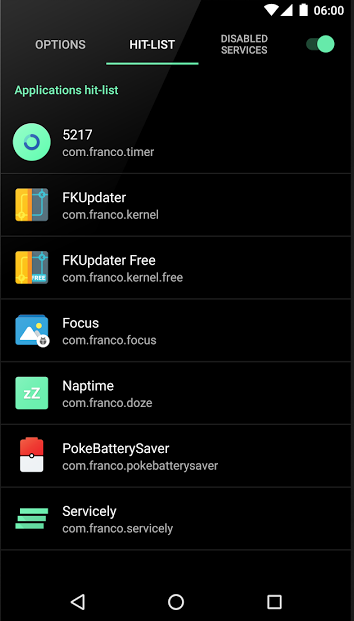 In this post, I will tell you some methods to increase battery backup of your Android with this battery booster technique. By this, your Android battery life will get boosted and you can appreciate a lengthy enduring battery backup. In this method, I’ve stated a very simple method to increase battery backup of Android without any app. This method will work on almost every Android phone. Step 1. 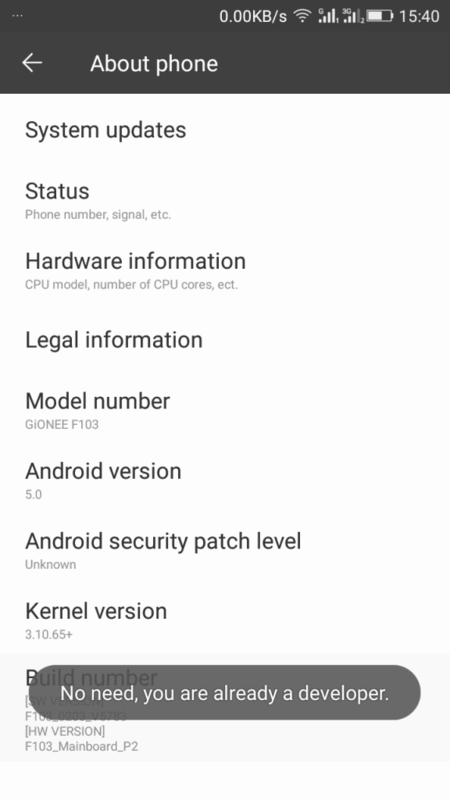 Open Settings on your Android device and then Scroll Down and click on About Phone. Now you will see an options build number there. Tap 7-10 Times on the build number and you see developer options will get activated. Step 2. Now go back to settings and a new option Developer Option will get added there . Click on Developer Option and scroll down. Step 3. 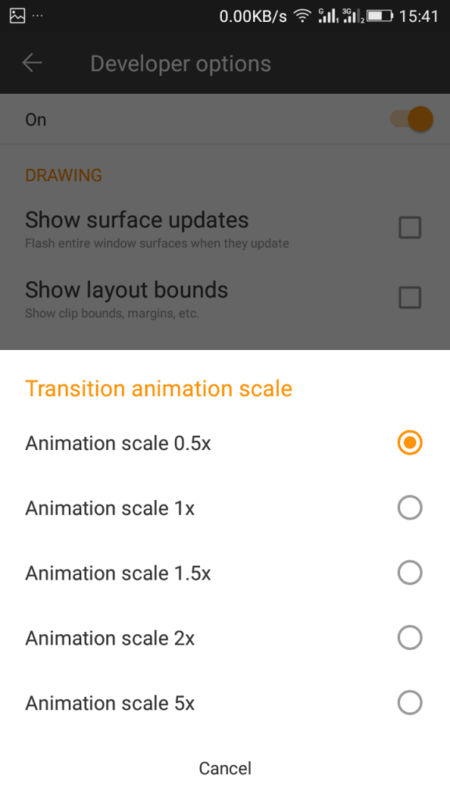 You will see options Window Animation scale, Transition Animation Scale, and Animation Duration Scale. Now By default, their value would be 1.0, Set them to 0.5 or off them all. 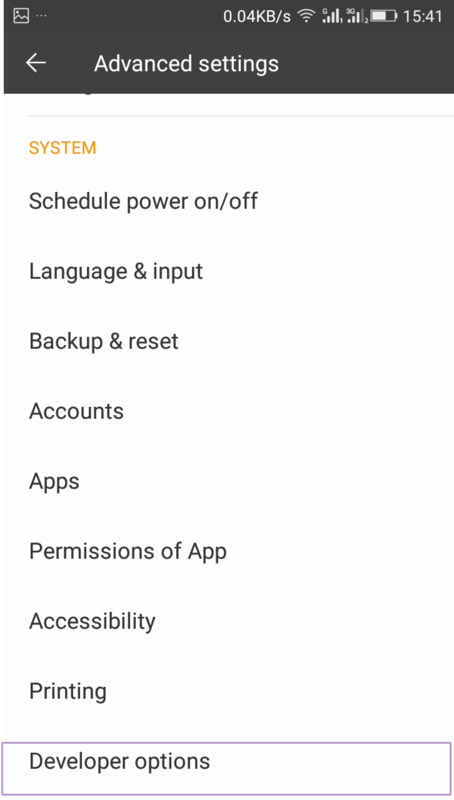 That’s it, you are done this will Increase your battery backup of Android up to 30-40%. 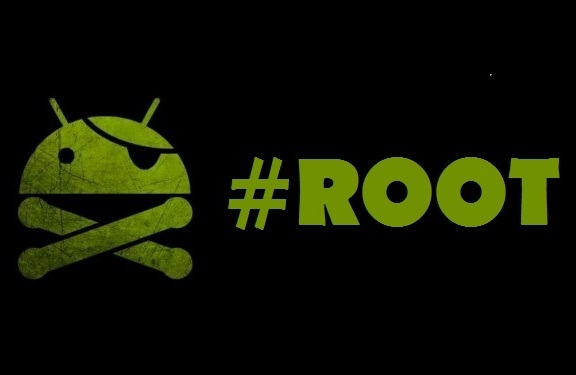 After having root privilege to your Android phone, you can boost battery power of Android with this app. 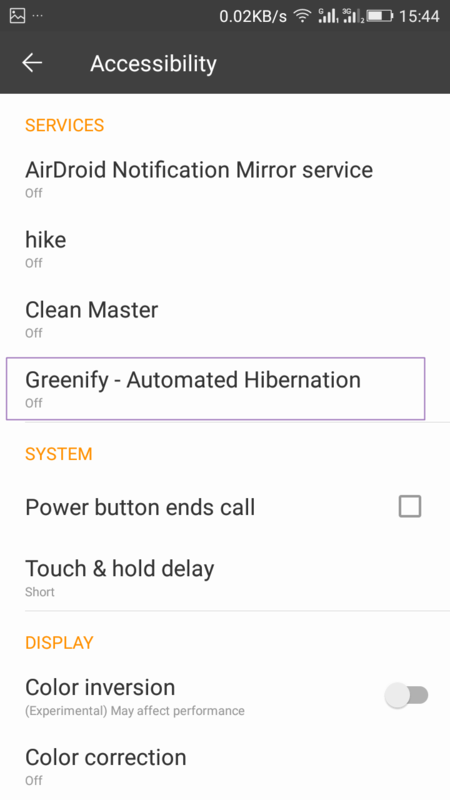 Greenify app just hibernate the apps which are not currently in use. But this is not as same as the common hibernating apps as in this app there is also cache stored which will not let the app stop completely. By hibernating apps, the workload of background running apps on battery gets reduced too in many extents and your battery backup gets boost. Step 1. 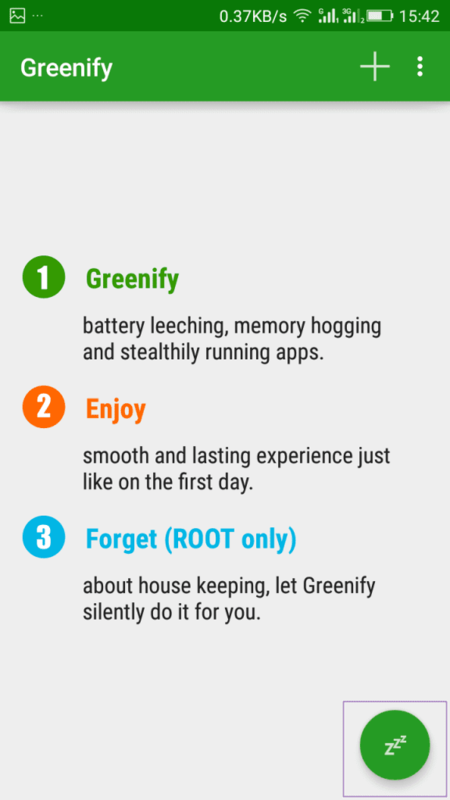 Download and Install Greenify app from the Google play store. Step 2. Now open the app and grant it the superuser access. Now you will see three option on the app you just have to click on hibernate icon that is located on the right down corner. Step 3. Now you will be asked to enable the grennify app as your default services. Select it and turn it on. That’s it, you are done, now this app will automatically hibernate that app when they are not in use and saves a lot of battery of your Android. 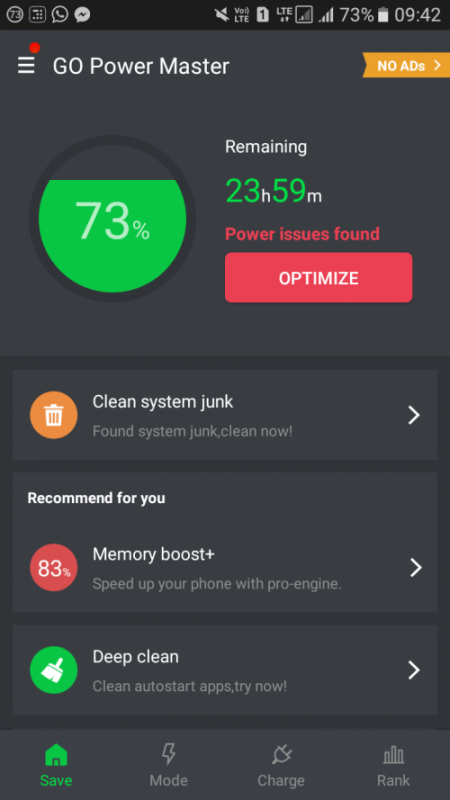 This app is similar to greenify. However, it doesn’t hibernate any app but it simply eliminates the app running in the background. This app runs in a dedicated background thread just to make sure you have a normal Android experience. This also requires rooting your Android device. Step 2. Now you need to download Servicely app on your Android device. After you install it, grant it a superuser request. Step 4. Now head over to the “Hit-List” tab and see all the apps that you have just added to the list. Step 5. You can also set the time interval period between checks, the default is 60second. That’s it! 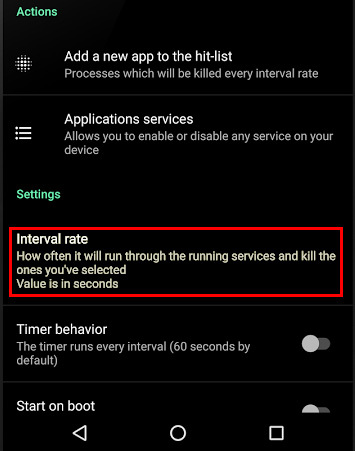 Now, this app will prevent the apps running from a background and will check according to your set time interval. This will eventually increase your battery life. GO Battery Saver is capable of extending your battery life. Main features of this battery plus include power saving mode, smart saving, toggle control, power testing, etc. Never worry about finding a charger in the middle of the day again! Step 1. First of all, download and install Go Battery Saver & Power Widget on your Android smartphone. Step 2. Once installed open the app and then you will see the screen like below. Step 3. Here you need to tap on “Optimize”. Now, wait for few seconds until the app optimizes your phone for better battery performance. Step 4. Now you need to tap on “Mode”. There you will find three options. You can set them according to your need. Step 5. 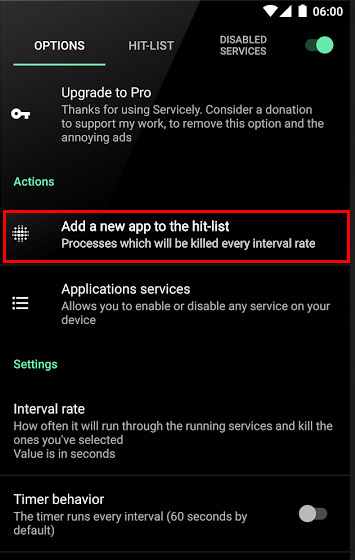 The app also has a smart mode option which allows you to do advanced settings to enhance your battery performance. That’s it! you need to install the app and start exploring to find out more about GO Battery Saver & Power Widget. Once you follow these three methods, you can undoubtedly boost up your battery life of Android at approximately 40-50%. Hope you like the post. Don’t forget to share this post. Also, leave a comment as a feedback of your experience with these methods. This Phishing Attack Is Impossible To Detect!